Blade Length: 192 x 1 1/4"
If you need a heavy-duty, high-performing saw that boasts both speed and accuracy, the Trajan 360A is right up your alley. It’s a dual column, semi automatic cutting machine that packs a lot of power and operational efficiency. Designed with operator needs in mind, the Trajan 360A is packed with convenient features. Not only is it intended to make cutting faster and more precise, the Trajan 360A also helps to protect the band saw blade it uses. Beginning with the most essential of precautions, the Trajan 360A has a work light. 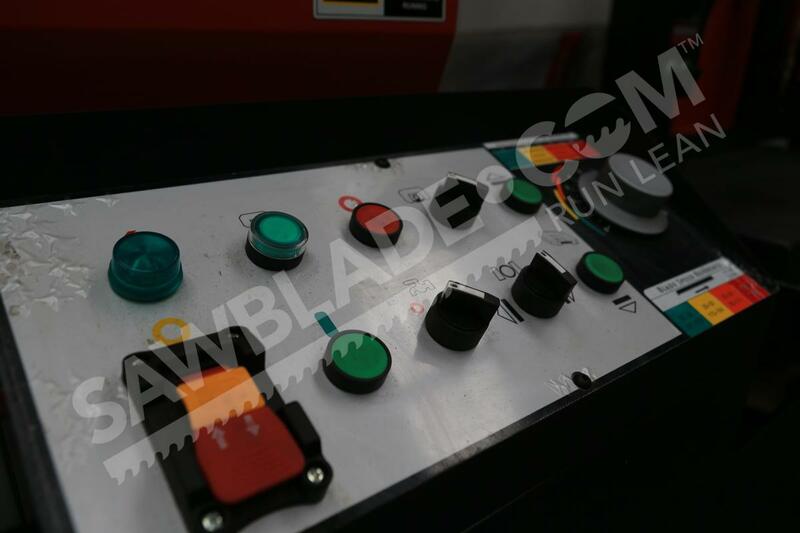 This small, but extremely useful accessory illuminates essential parts of the saw so the operator can see clearly. The Trajan 360A also has a digital blade speed read out. 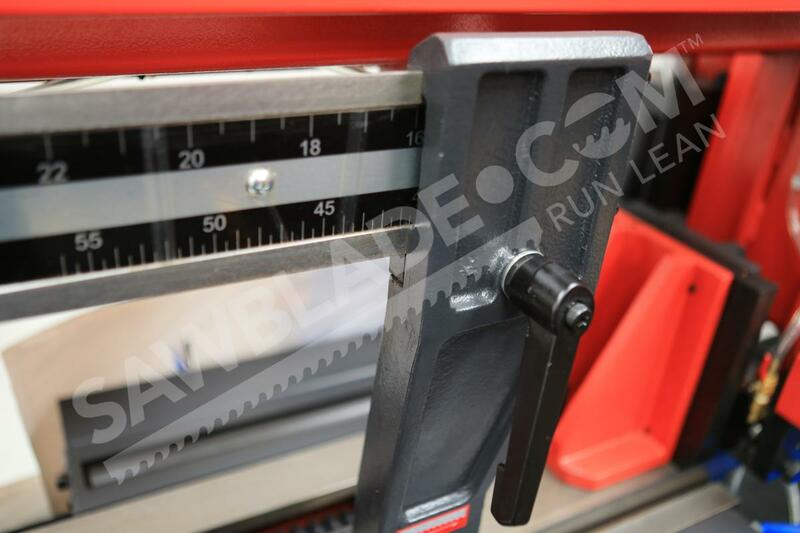 With this system monitoring the blade’s exact rate, the operator can always tell exactly how fast the saw is working. With speeds between 82 and 259 feet per min, the Trajan 360A can handle a wide variety of materials and applications. 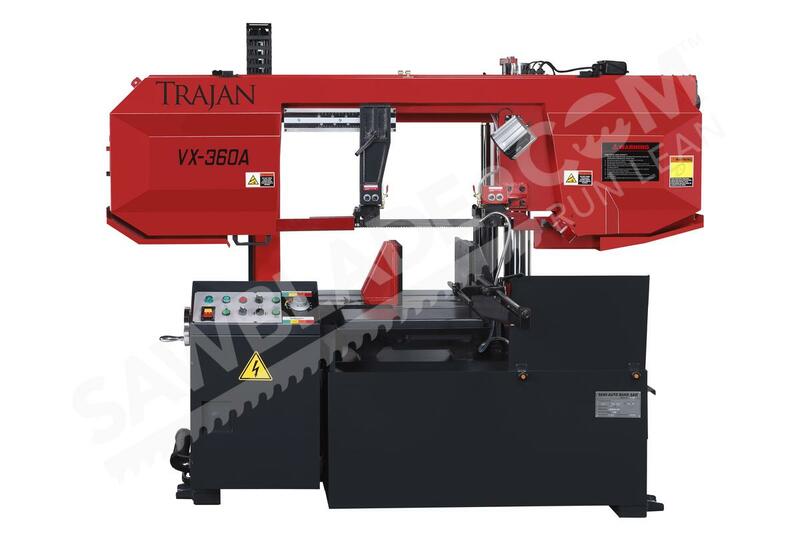 With it’s sturdy structure, the Trajan 360A is engineered to reduce vibration during cuts. 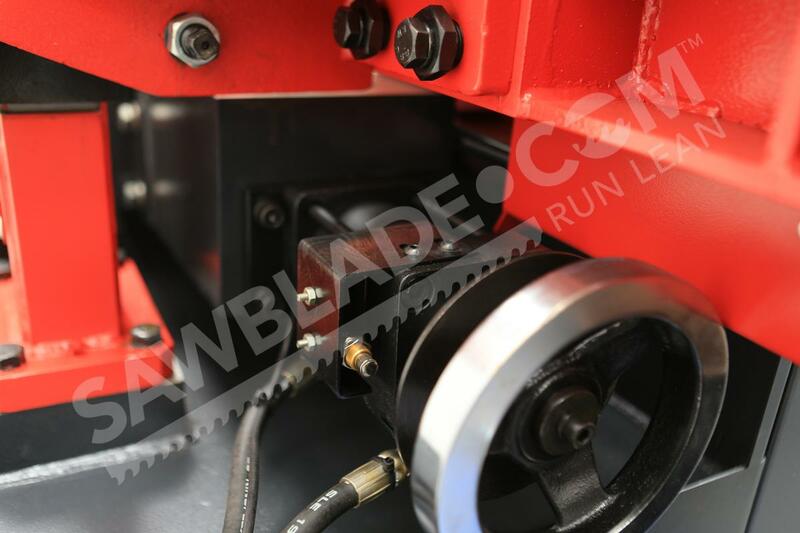 But it has several additional features that help protect its band saw blade. 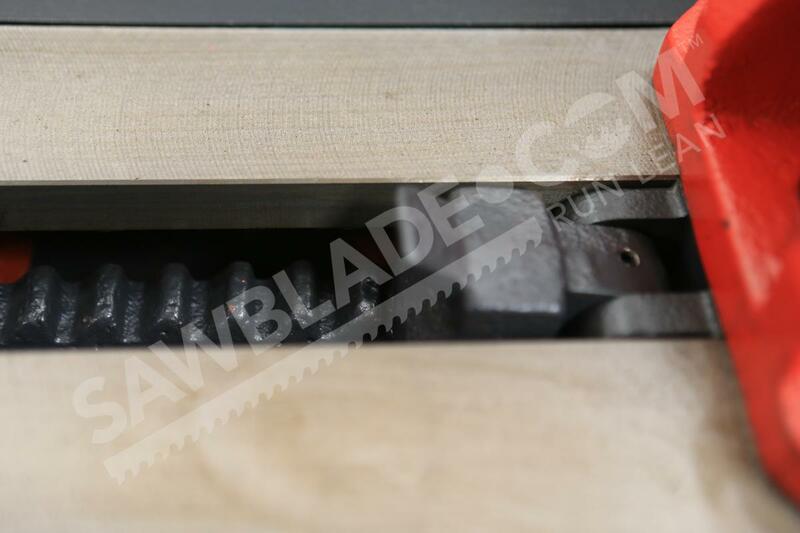 The chip brush, driven by the blade wheel, sweeps chips away from the cutting surface, helping to preserve the saw blade’s integrity. The Trajan 360A also comes standard with a handy chip collecting drawer, which stores the metal chips until clean up. 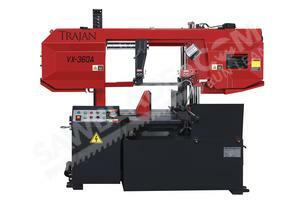 Many components of the Trajan 360A band saw blade contribute to it’s outstanding performance and cutting ability. 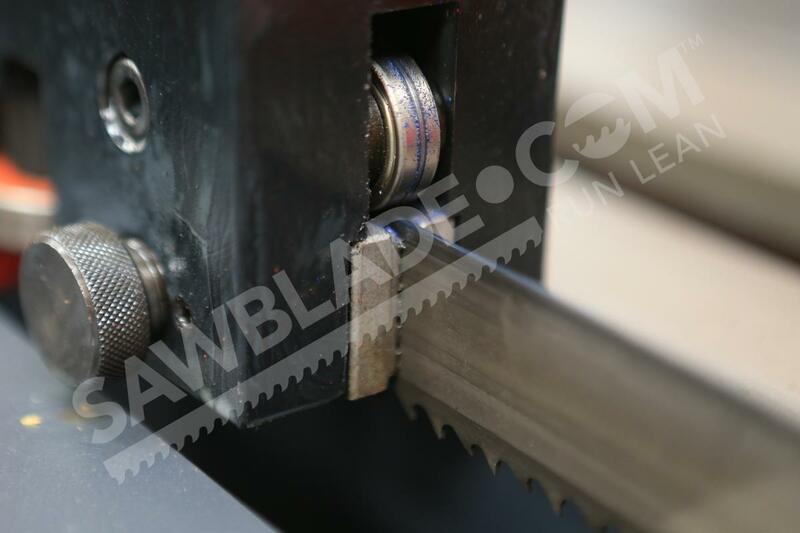 Beyond mechanical power, the saw is engineered for weight and stability to help contribute to the accuracy of cuts and extend the life of its band saw blade.